Our clients don't care how much we know until they know how much we care. To care for and serve client's and their families by rendering professional, compassionate, counseling services and developing a mentally, emotionally, relationally and spiritually healthier you! 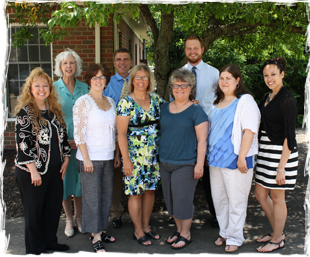 To be the Professional Counseling office of choice for Stark County and surrounding areas. To see you through the eyes of your Creator, full of value, giftedness, dignity. To treat you as we would want our own family members to be treated. To not judge you for any mistakes of the past. To accept you where you are. To give you the truth both scientific and spiritual. To be professional, compassionate, and caring in all of our interactions with you. Saturday and evening hours dependant upon individual counselor schedule. © NE Family Care Counseling Center. All rights reserved.